Detailed and extensive surveys of publications in English on various Kabbalistic themes. Recommended. "A Guide to English Language Resources for the Student of Traditional Rabbinic Kabbalah". An excellent bibliographic essay and literature review. Even if you aren't into the sources of Rabbinic Kabbalah, this essay provides the kind of information that any student of Kabbalah should at least be aware of. 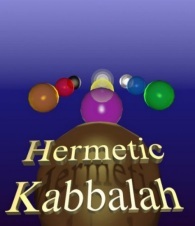 A great deal has been published on Kabbalah since Jeffrey Smith published his bibliography above. Attempts have been made to contact the original author, to no avail. The original essay continues to have merit, and Don Karr has kindly written a supplement that fills in some gaps and describes important new publications.